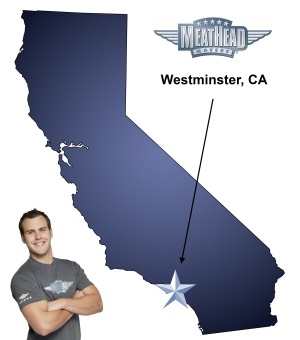 Whatever your moving needs may be, Meathead Movers will help you feel at home in Westminster. Our professionally trained student-athlete movers and our moving concierge will be with you for the entirety of your move to Westminster. Whether you are moving to Westminster for the family-friendly parks or the beautiful scenery, Meathead Movers can help make your relocation stress-free. The city is ideal for families and children who like to embrace the outdoors. Sid Goldstein Freedom Park houses the Vietnam War Memorial in the midst of the city’s governmental buildings. Students of all ages have access to the city library within walking distance. Westminster movers can get you to this family-oriented town on your schedule with no hassles. At Meathead, we only hire student-athletes who are strong, motivated and hard working. In fact, we even jog when they are not carrying your belongings. This efficient moving process saves you valuable time. Meathead Movers are open seven days per week to accommodate your schedule. You can always reach someone whether you are on your lunch break or preparing for the move over the weekend. You do not have to worry about hiring amateur movers because all our employees go through vigorous training from day one. The process of packing up your valuables can seem like a daunting one, but with our Princess Packers, you can relax knowing that we will carefully pack away your possessions to ensure that everything is ready to go on moving day. Our Westminster movers also offer a complimentary move concierge service to further eliminate stressful situations. Without taking any commission, we will personally contact and schedule any other moving-related service for you. We commonly communicate with cleaners, consignment stores, and storage facilities to find the best services for your relocation. When you plan on moving to Westminster, you can count on us for a smooth transition. Contact us today for a free estimate on your upcoming move. With our 100% satisfaction guarantee, the only thing you have to lose is the stress that comes from moving! Moving to Westminster? Here are some helpful resources. The prices were high but quality of work & guys that did the work were commendable..customer service oriented..very good. The movers were on time, professional, friendly and hard working. Brandon was able to handle all the paperwork; explaining the process, directing staff and very efficient. They were careful with all items and were able to lift heavy items. They took all the stress out of our move. It was very expensive, however, l feel that in this instance, it was worth it. Brandon worked so hard and it was a very tiring drive over the grapevine. He needs a raise! Everything went smoothly. The guys were there on time, it took less than 10 minutes to get the truck loaded & they even beat me to the destination. Unloading was not a problem. I was very satisfied with the job. Well done. I will use you again & recommend your company to anyone in need of moving services. Thank you again. Tony A. Fast and speedy, great attitude and cheerful movers! Having never moved before, we have nothing to compare this experience with, but, other than the hole in our savings account ( that would have happened anyway, right? ) we are completely satisfied from beginning to end. Meathead really knows how to hire their people. The nine young people we met were all hard-workers, efficient, courteous and nice to old people. Not all young people are comfortable with older folks. We liked the personal attention given by the office, and the fine young men who came to pack. They were efficient and careful with our items. Tomorrow we move and we are certain the great service will continue. Thank you Meathead Movers for making our move possible.